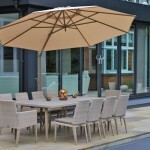 Bring friends and family together for an alfresco feast with this Hampstead garden dining set. 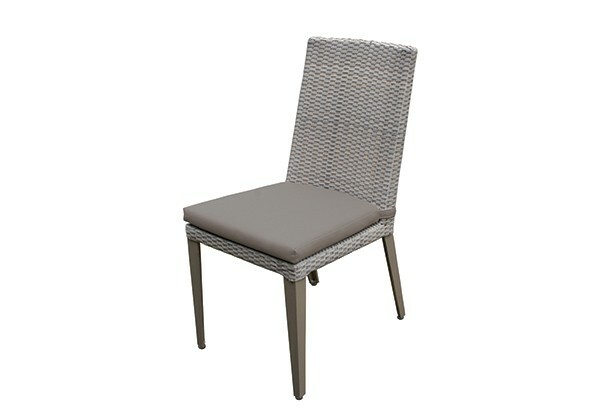 Flaunting exceptional quality and elegant looks, this perfectly practical dining set is a winning choice. 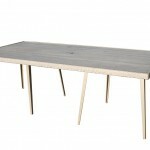 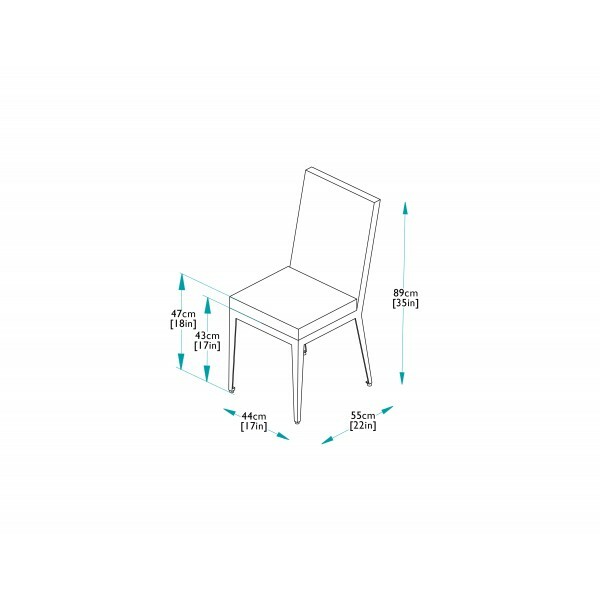 The set includes an ample 240cm rectangular dining table, two dining armchairs and eight dining chairs. 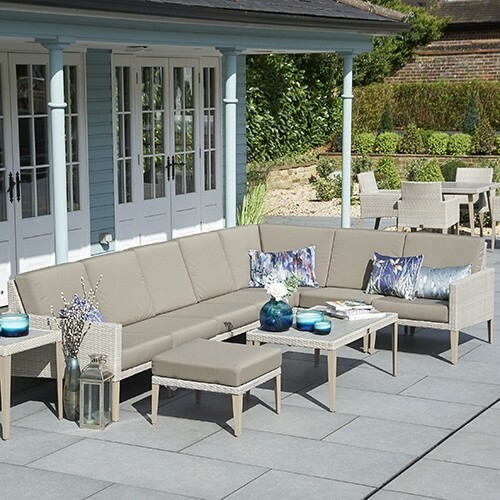 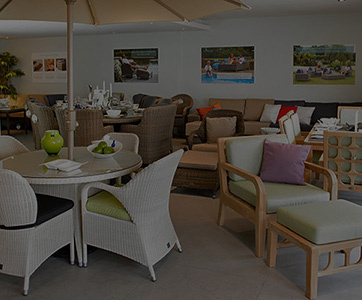 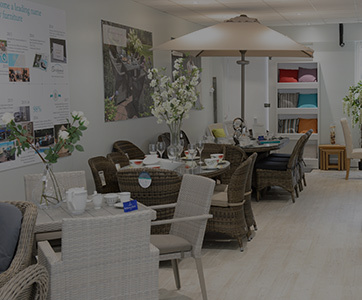 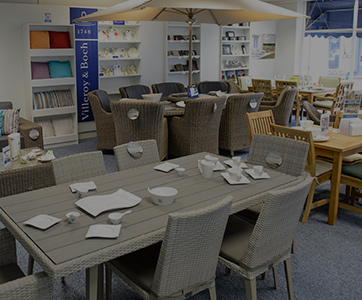 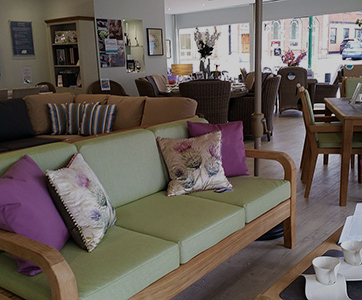 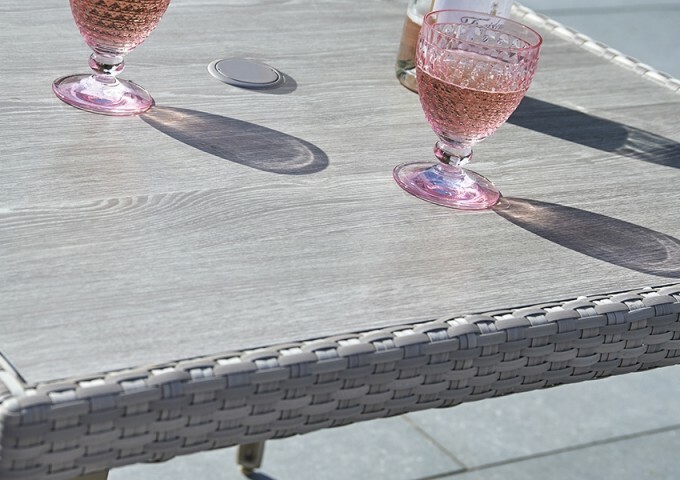 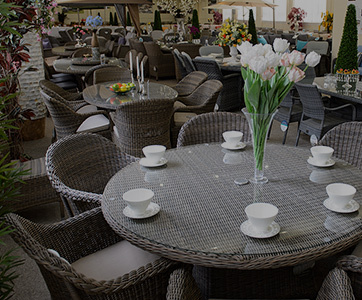 With the Hampstead collection, you can enjoy maintenance free garden furniture for easier outdoor living, giving you extra time for rest and relaxation. 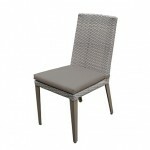 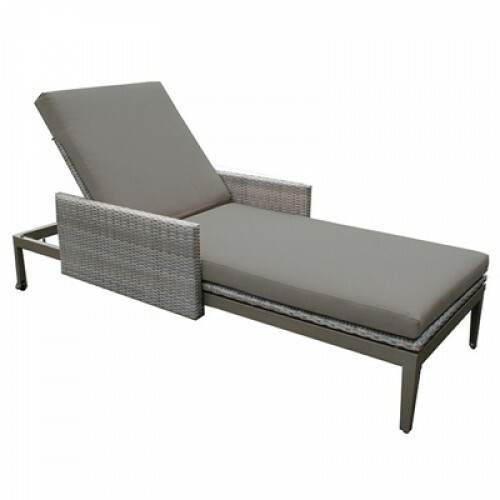 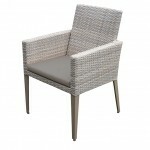 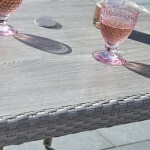 The range is created using powder coated aluminium and synthetic rattan in a cool and contemporary stone-grey shade. 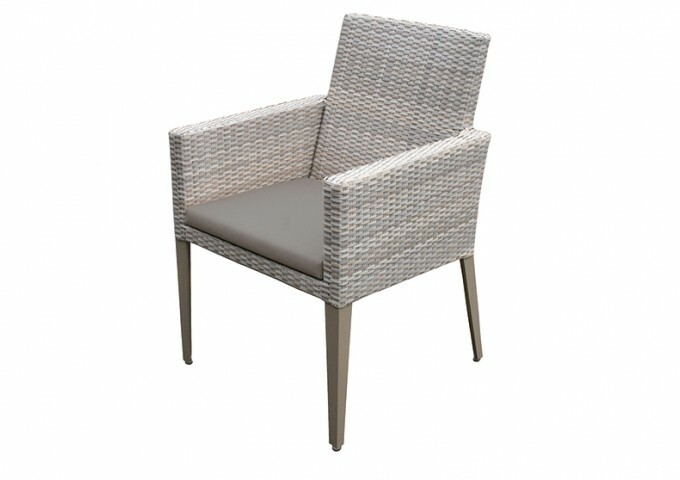 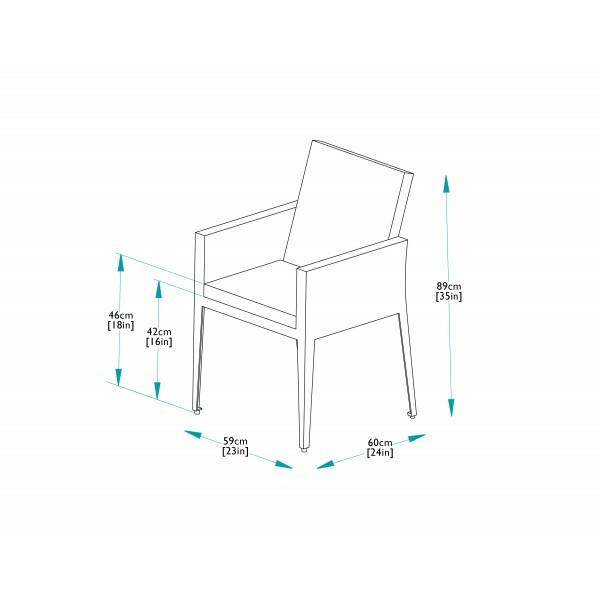 The chairs come complete with complementing taupe cushions that are also fully waterproof and stain proof, ideal for increased comfort and reduced effort. 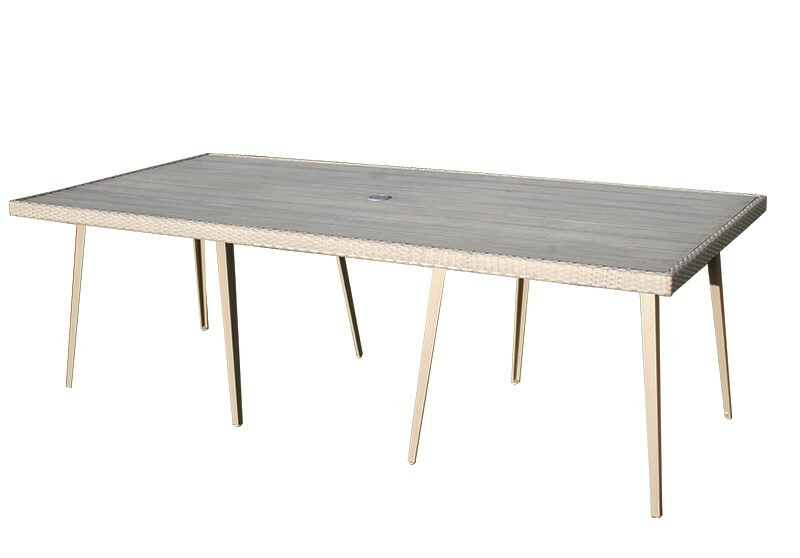 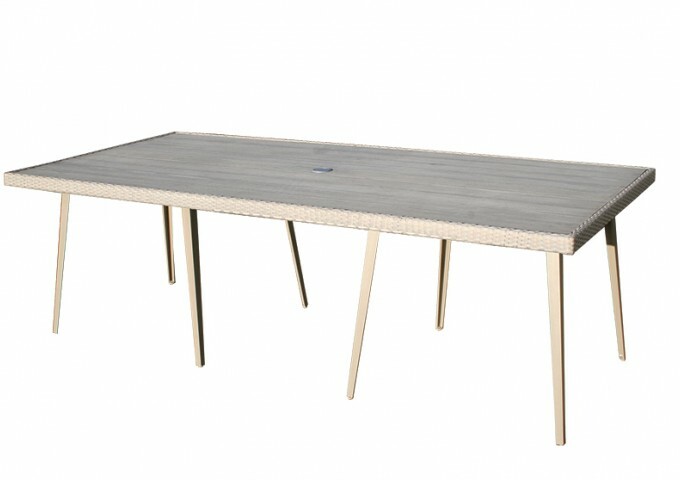 This dining table is ideally suited for outside use with its premium weather resistant construction and adjustable feet for steadying, but will equally make an impressive centrepiece in a summerhouse or conservatory. 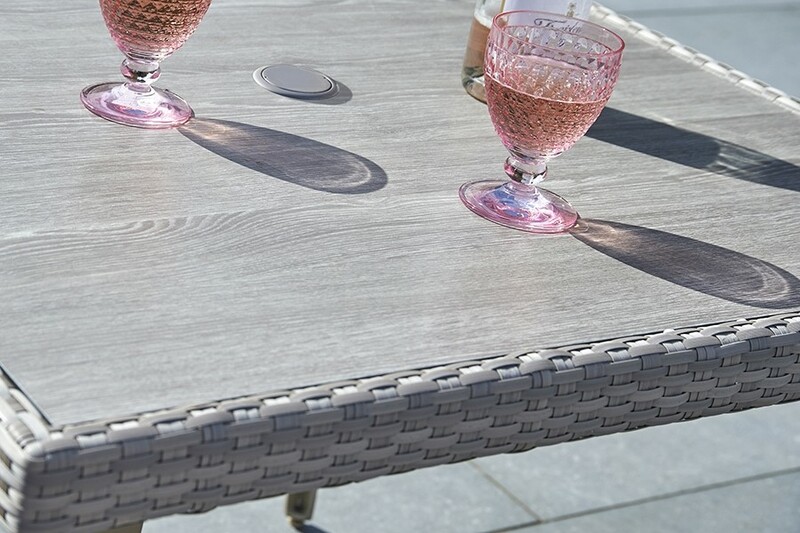  The tabletop is available in a durable wood composite with a lovely wood grained appearance or alternatively in a high pressure laminate (HPL) at an extra cost, and is particularly suited to commercial or heavy use. 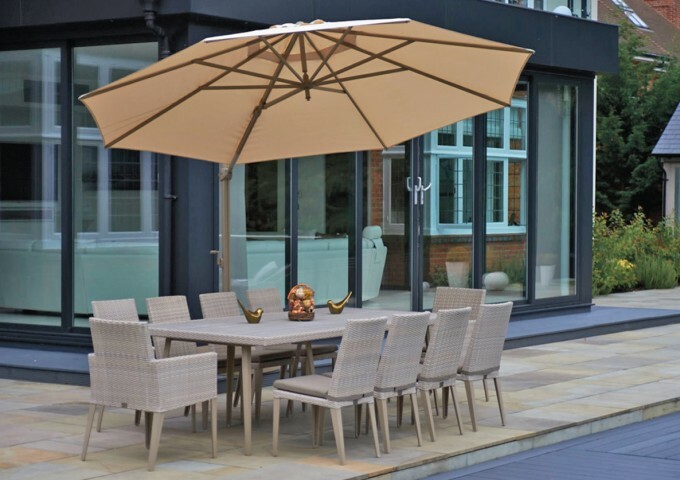 Both top options benefit from a parasol hole with a plug for when the sun begins to shine.